Home / It’s an Atomic Christmas! I can feel the swing of the 60’s calling me. These ornaments are super quick and oh so easy. The giant paillettes and fabulous crystals make them sparkle. 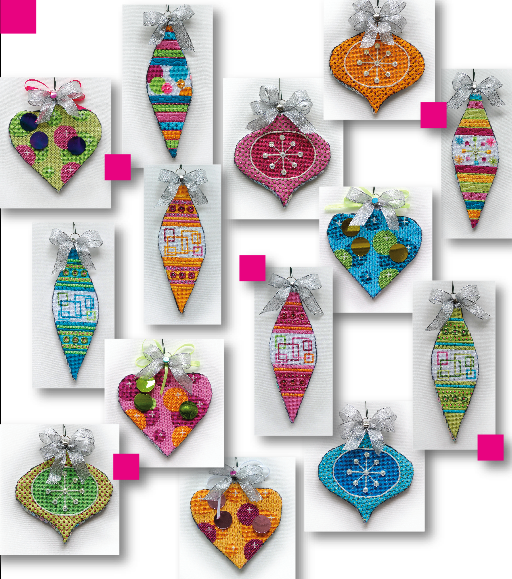 We have once again teamed up with EyeCandy Needleart to bring you a fun and easy ornament club available exclusively at Bedecked and Beadazzled. Ada Haydon designed the ornaments, I did the stitchguides. 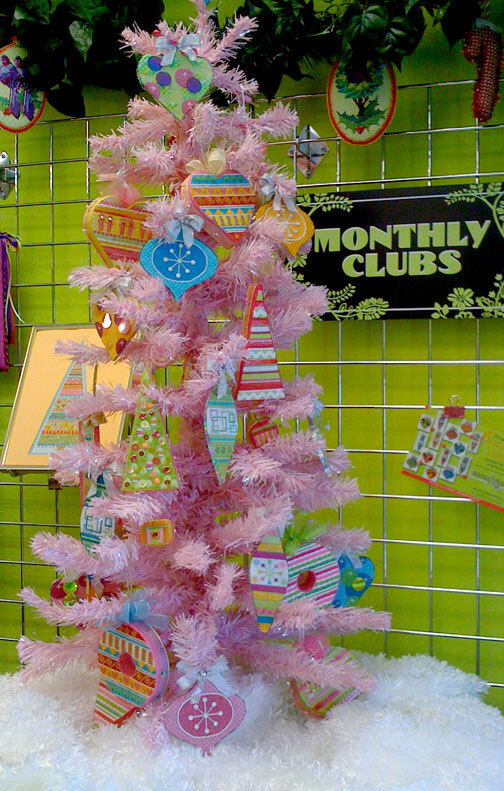 Candy colors and a retro vibe make this the perfect companion series to our Tickled Pink ornaments. If you missed the Tickled Pinks you can see them here. Monthly shipments of painted canvas and stitch guide start November 10th. You can read more about our club and sign up for it here. Wishing you a Very Merry Atomic Christmas! I had to add this picture! We put all of the Atomic ornaments on the tree with the Tickled Pink series. Aren’t they cute? « Previous: Funny what a little color change will do…. These are cute, Ruth. All you need is a rotating aluminum tree to display them on!